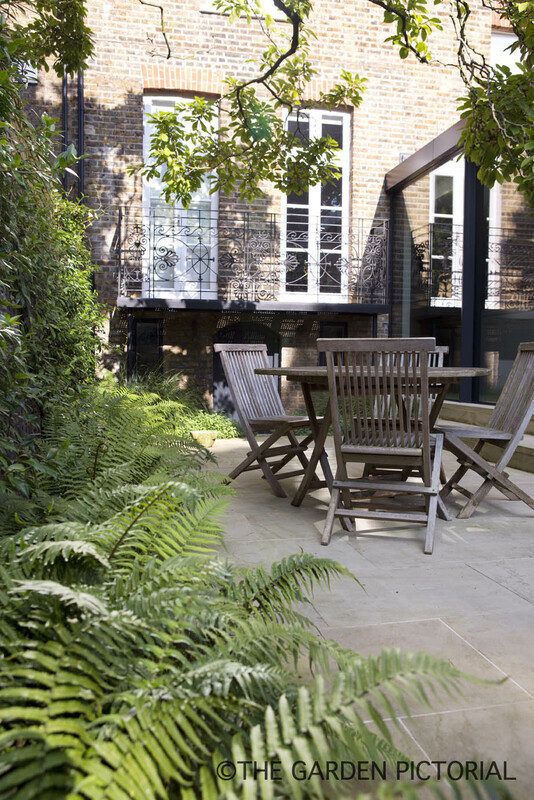 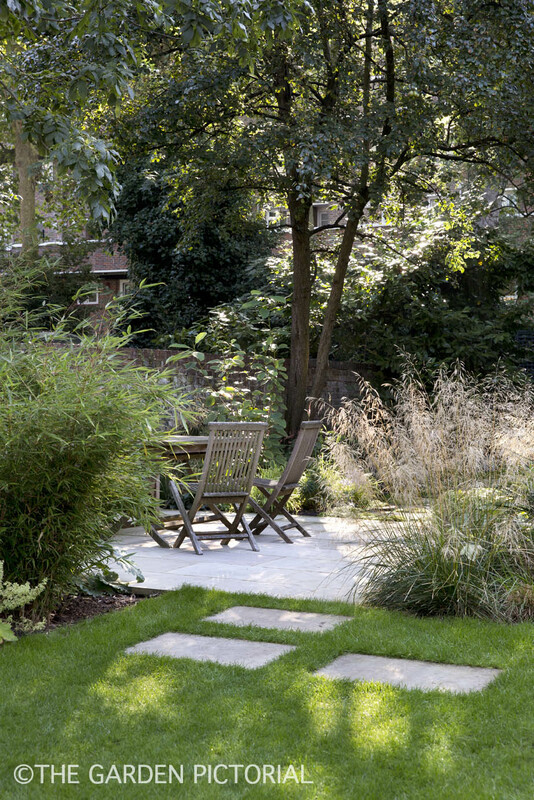 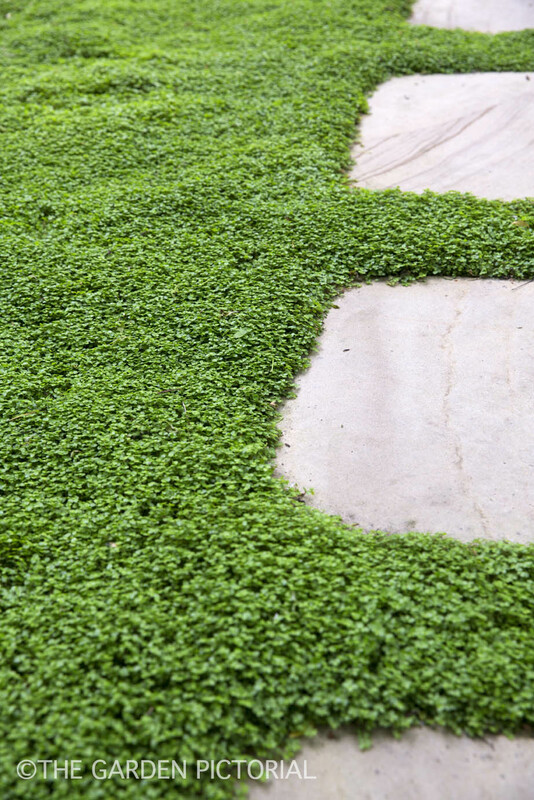 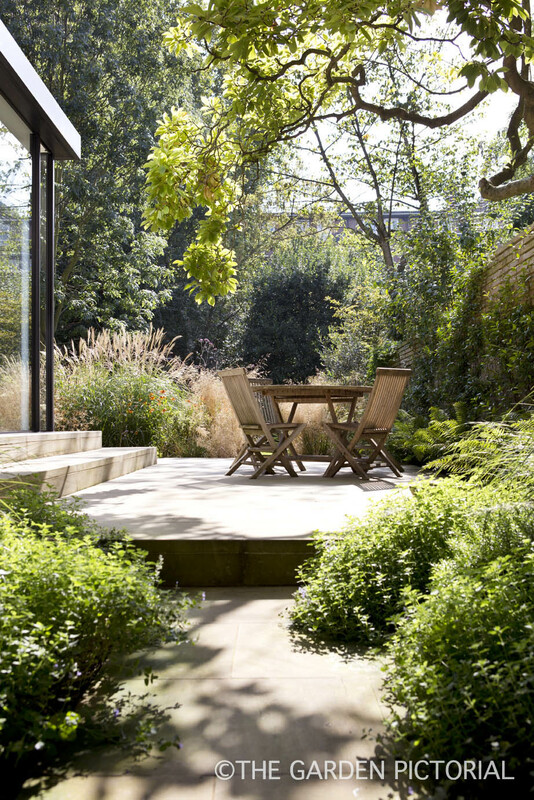 Garden designer Joanne Bernstein approached her own unusually long city garden as she would for one of her clients, "I knew just what I wanted - a contemporary feel with strong geometry that would complement our modern, glazed extension". 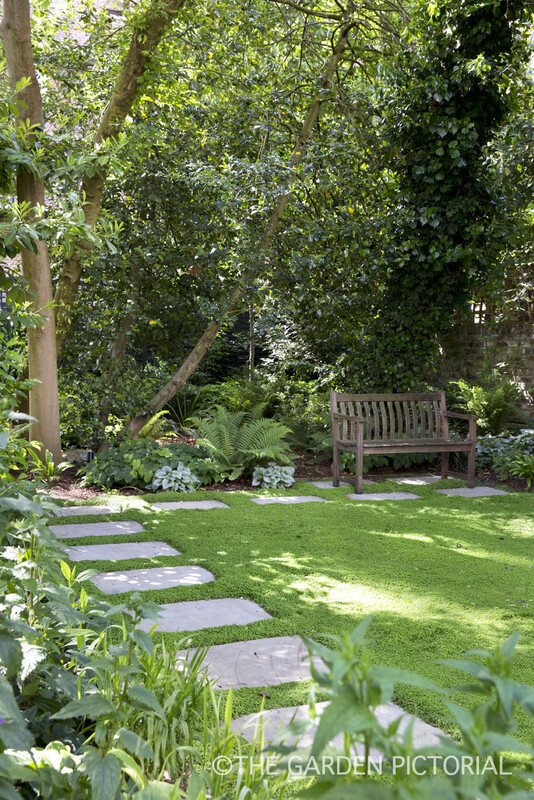 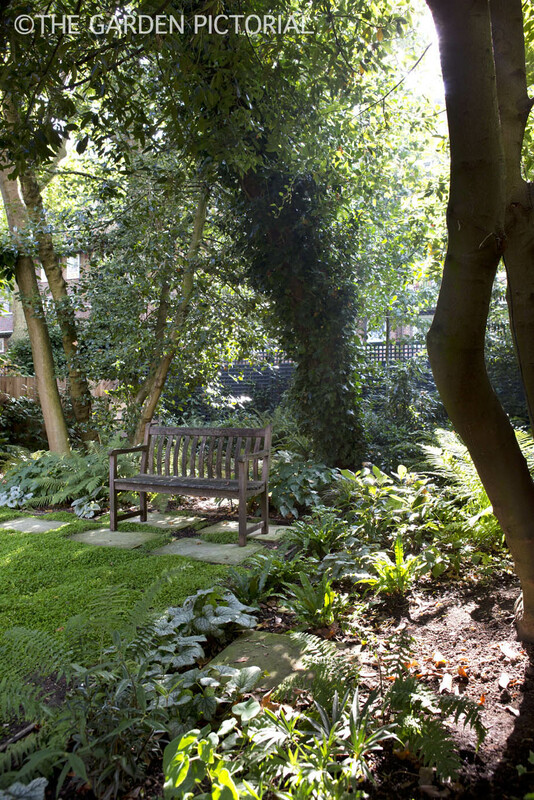 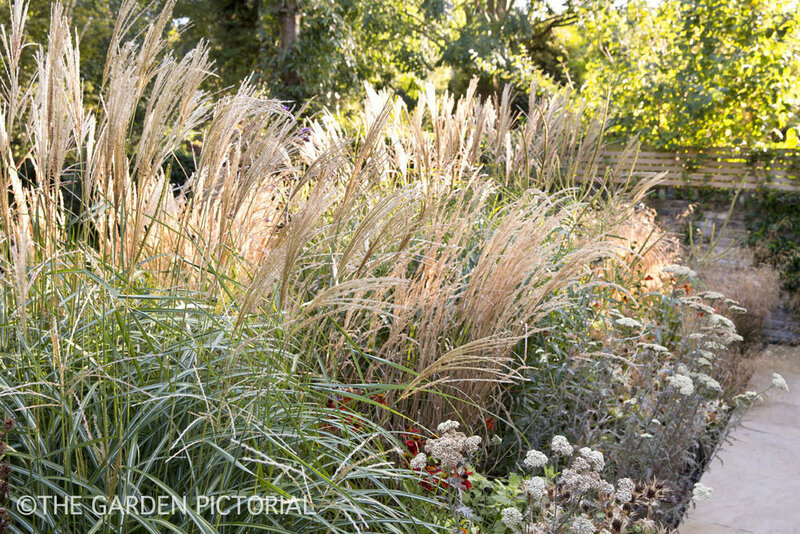 The bold layout of the garden is softened by billowing prairie-style planting, through which the rest of the garden is glimpsed. 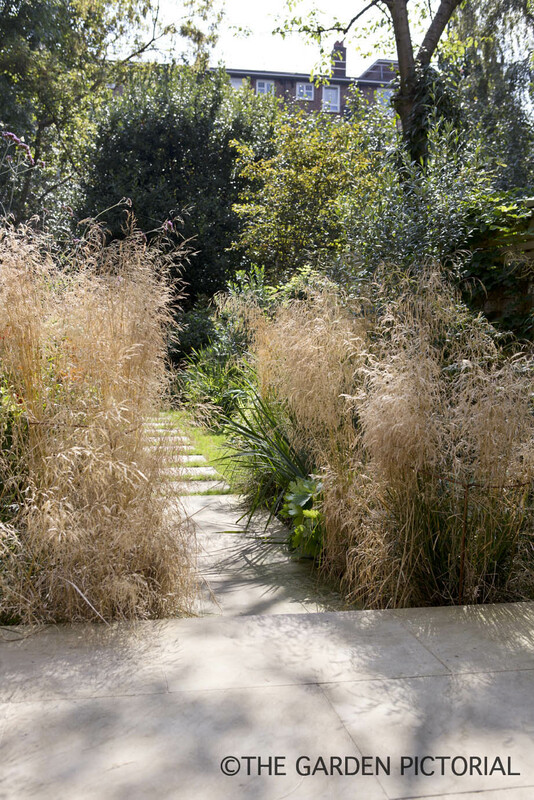 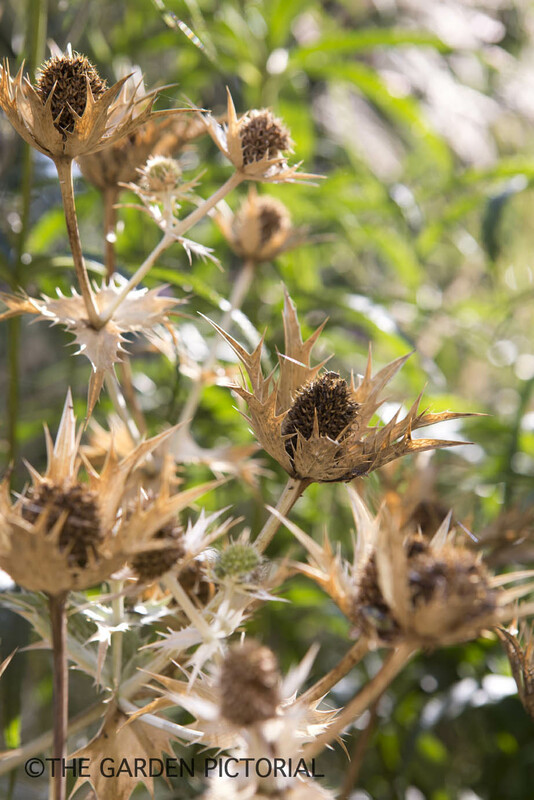 The naturalistic drifts of perennials and grasses give the garden a very lush feel, and with fantastic colours and textures, the garden maintains interest well into the autumn and winter months.